Email Subscription :: Movable Type Extra Facilities :: PRO IT Service S.R.L. - Choose a professional and accessible service for your online image! Are you running a weblog driven site and interested on bringing in more traffic? Your visitors like your writings and are interested on being alerted each time you post new articles. 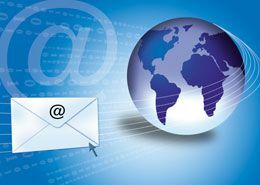 We can implement an email subscription option that will send out an email every day if you have new articles published. Boost your Web site traffic today! Do you have any question? Address it directly using our Live Support strip as listed below, complete our free quote form further down on this page or send us a note from our Contact page.